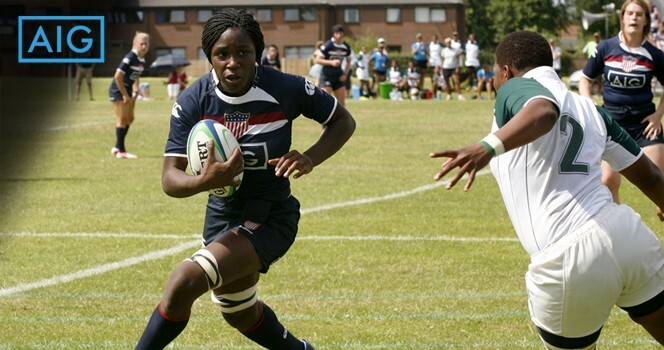 BOULDER, Colo. – USA Rugby AIG Women’s Junior All-Americans Head Coach Danielle Miller has opened an application process for the East/West camps bound for Greeley, Colo., and Harrisonburg, Va., this summer. The two regional camps will be jointly held with the USA Rugby AIG Women’s Collegiate All-Americans at the University of Northern Colorado and James Madison University, respectively. Nominations for the WJAA regional camps are due March 10, 2014, while attendance at one of the camps is required for participation in the team’s summer events. Matches are being confirmed with Canadian teams for a tour in the late summer. Players eligible for the regional camps must have been born on or after Sep. 1, 1993, and will have to submit times for the beep test and 70-meter shuttle. The WJAA/WCAA camps will also serve as the first development opportunity and selection process for the WJAAs’ participation in the 2015 U20 Women’s Nations Cup. View the Women’s Junior All-American nomination form here. Contact Danielle Miller with any other questions. Are the WJAAs the USA Women U20 National Team? Yes, the Women’s Junior All-American team is also known as the USA U20 team. The players consist of high school or college girls 17-20 years old. To be considered for this team, the players must be born on or after September 1, 1993. The goals of the program are to develop talented young players and gain international experience. This is one of the entry points for player identification on the pathway towards the senior national 15s and Olympic sevens teams. The selection process for the regional camps will be based upon the nominations accepted by March 10. We will not accept nominations after March 10, as we will be using that time to analyze the data we collect. The players who are invited will be based upon the data provided. Therefore, the players with the best chances will need to fill out all information asked and if available, providing video is helpful, but not required. How will the players know if they have been invited? The players will be notified via email between April 1 and April 15. The email address provided on the nomination will be used, so please double check it is correct and the player checks that email. The player will only have a few days to accept the invitation or that spot will be offered to a player on the waitlist. 1700 9th Ave. 800 S Main St.
How much will the camps cost per player? There will be a player fee to offset the cost of the camps. It is common for a camp of this nature to be anywhere from $150-$300. The final cost of camp will be announced in the players’ invitation for camp, but please be prepared for a player fee. How do I pay camp fees? There will be a link in the player email invitation for online payment. Credit or debit cards are accepted. Payments are due a month prior to the camp. Players who do not pay their player fee on time will lose their space and a player from the waitlist will be called up. National team camps are nonrefundable. What is included in my player fee and what are any additional costs? The player fee will include food, accommodations, medical supervision, coaching, practice clothing, t-shirt, and transportation to/from the specified airport. Any transportation costs to/from either the airport or the college will be the player’s responsibility. We will not be able to accommodate players who arrive at the airport after the transportation time deadline. Players must stay with the team in the evening and cannot commute camps. What competitions will the WJAAs be competing in this year? The competitions have not been finalized, but the players can expect to set aside seven to 10 days at the end of July or early August for a competition/tour. If I didn’t make the team last year should I try out again? It depends on the player’s time, availability, finances, and desire. Many players who have attended camps have been able to apply some of the skill sets they learned at the previous camps and increased their ability. It is common for players to attend a camp or two before making the traveling team. The time commitment for the camp is the entire duration of the camp. Players will not be able to leave the campus or the team events. There are no additional time commitments, but it is expected that the players do their training on their own to be in the best shape possible. The players who make the team will have one event in the late summer (to be announced), which will last seven to 10 days. Who are the athletes who are successful at camp or make the WJAAs? 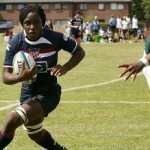 The players who enjoy the camp environment or are selected to make the WJAAs are those who are passionate about rugby. They are players who want to continue playing rugby in college and beyond and have aspirations to play on the national team for the Olympics or the World Cup. These players keep an open mind, are willing to try new things, are willing to make mistakes and learn, want to make new friends, and want to learn more about rugby. The players are athletic, willing to work on skills outside of practice, and arrive to camp fit and ready to play. How many players will be invited to the camps? There will be 45-50 players invited to each camp. How many players are selected to travel? The WJAAs will select 28-34 players depending on the amount of games.